Fans of the Play Disney Parks app can now find commemorative pins at select attractions. 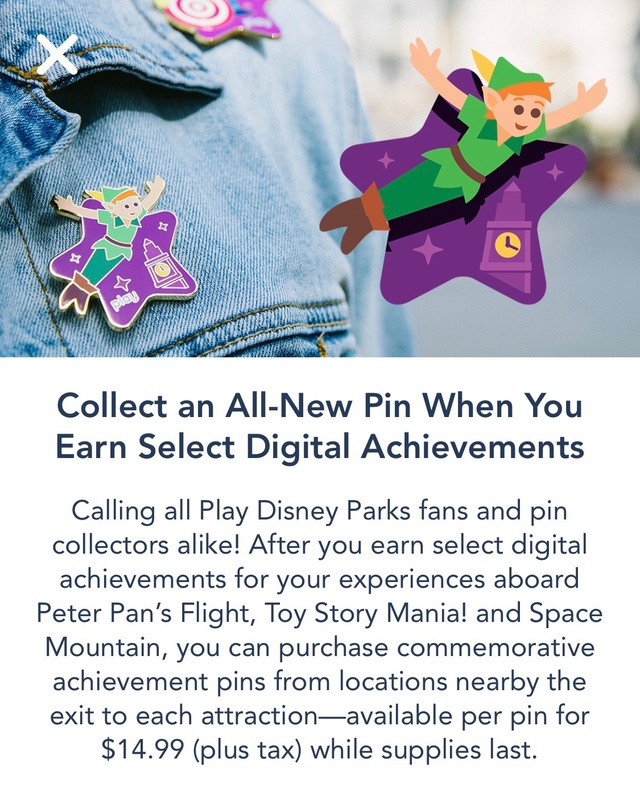 According to an in-app advertisement, guests can collect pins after completing digital tasks at Peter Pan’s Flight, Toy Story Mania, and Space Mountain. 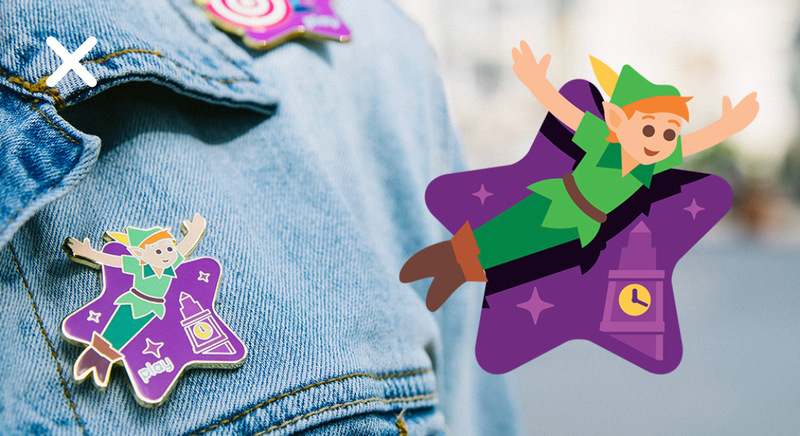 The pins are on sale for $14.99 (plus tax) and while supplies last. Guests can find the pins at locations near the attraction exits and must show the completed digital task to qualify for the purchase. Here’s a look at the message we saw in the app.